Dubai police have announced a crackdown on a large prostitution ring, which human rights activists welcomed on Wednesday as a long-awaited move against the human trafficking rampant in this wealthy Gulf city. Police said that they had conducted a series of simultaneous raids Saturday on suspected brothels, landing 247 suspects in jail in the emirate's biggest anti-prostitution sweep to date. "The police have been working on this one for a long time," Police Chief Dahi Khalfan Tamim told The Associated Press, describing a year of surveillance on 22 villas licensed as massage parlors in several neighborhoods across this bustling regional business hub. In a press conference Tuesday, Tamim said that the Dubai government has "declared war on human trafficking." "It's about time we can say the word 'trafficking' out loud," said Sharla Musabih, a human-rights activist who runs a local shelter for abused and trafficked women. "There's still a lot to be learned, but after seven years of trying to convince the police that these (women) are victims of trafficking, my heart sang when I heard the police chief say that," she said. Musabih added she has dealt with 400 victims of trafficking over the last six months. The raids picked up 170 suspected prostitutes, 12 men believed to be their pimps and 65 alleged customers, all of whom have since been referred to the prosecutor-general to be charged, Tamim said. 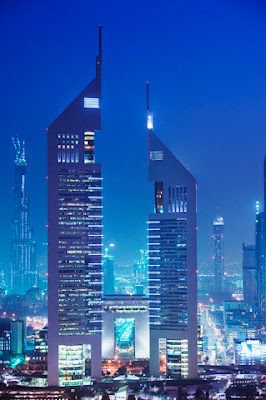 Prostitution is illegal in the Emirates, a federation of seven semi autonomous states, but widespread in Dubai and particularly obvious in certain luxury hotels. I believe getting some undercover agents in some of these places and trust me you will catch so many of these prostitutes and pimps. go to souk nayef and ask any indians in these cheap hotels and he will lead you directly to them. go to a coffee forgot the name (something park maybe) but its on al murragbat road its in is on the roof of a hotel. ( they start coming at 2 pm) get there numbers (bluetooth)call them agree on a price, ask them to come to a certain a room in a hotel or something and lure them all in one place. go to hardrock and a lot of clubs you will find a lot asians and russians do the same get numbers lure them in one place. doing this process the prostitution rate will go down slowly and finally, hopefully you will be left with those pimps that are a little hard to catch since they don't come out and just accept phone calls and send you deliveries if they know you or know a friend of yours or something. here is just a story about a pimp. its a she, she has some girls all over emirates and she controls them really well and will just send you prostitutes if you have what you guys call "wasta". Just a phone call to her she will send you as much as you want and no matter what city you are in. I asked a friend who was contacting her, where is she located at? and he replyed I don't know. Like these pimps mentioned in the story having a person to call her and then track down the phone call and find her location is a good idea, then keep an eye on her and track all the prostitutes she has and once all that is done go grab them one by one. kick them all out of the country they don't deserve to live there! they are just building bad reputation to the country. Yes, no country is perfect and all these issues occur in every other country but putting it to a minimum is enough. Note: if you want me to point out places where you can find these dirty people let me know and i'll keep posting here. The problem isn't prostitutes, it's human trafficking - those women aren't doing it by choice, they're convinced to go there on false pretenses and then forced into prostitution. They should be succoured, not prosecuted. They're victims.